Butter Chicken Recipe – Learn how to make restaurant style chicken at home. Butter Chicken with smooth, silky and delicious gravy. Butter Chicken is one of the most famous Indian dishes around the world. You can find Butter Chicken in almost all Indian restaurants. 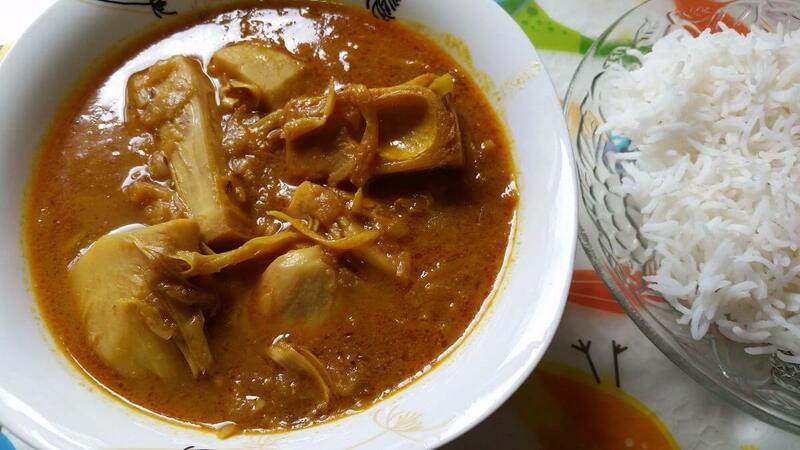 Butter Chicken is also known as Murg Makhni. Butter Chicken’s gravy is mainly prepared with tomato puree, Cashew paste, cream and offcourse Butter as you can guess with the name. Butter Chicken makes an awesome combo – Butter Chicken with Naan, Roti or Kulcha. It also goes well with Rice. Add 1/2 tsp turmeric and 1 tsp chili powder to chicken. Add 1 tsp salt and 1 tsp lemon juice. Add 1 tbsp curd and mix it very well. Now keep it marinated in refrigerator for 2-3 hours. Now heat 1 tsp oil in a pan. Add 4 cardamom, 1 small piece of mace/javitri, 1 small bay leaf. Add 2 green chilies and saute for 1-2 minutes. Add 1 inch chopped ginger and soaked cashew nuts and saute for few seconds. Now switch off the flame and let this mixture cool. Now heat a non stick pan. Add 1 tbsp oil and 2 tbsp butter. Add the marinated chicken and cook for about 5-6 minutes, stirring as required to brown all sides. Once chicken is cooked take it out and keep aside. Now add the onion mixture to a grinder and grind until smooth, you may need a few tablespoons of water to help it grind. Now add this paste and tomato puree to the pan. Mix well and cook. Add 2 tbsp cooking cream. When it comes to boil, add 1 tbsp kasoori methi/dried fenugreek leaves and salt. Stir and cook for 2-3 minutes. Garnish with cream and serve hot with roti, naan or rice. Boil water. Add 1 tsp salt. Dip tomatoes and cook for 2 to 3 minutes. Remove tomatoes from boiling water and put them into a pot of cold water. After 2-3 minutes, peel the skins off the tomatoes. Fresh tomato puree is now ready to be used. 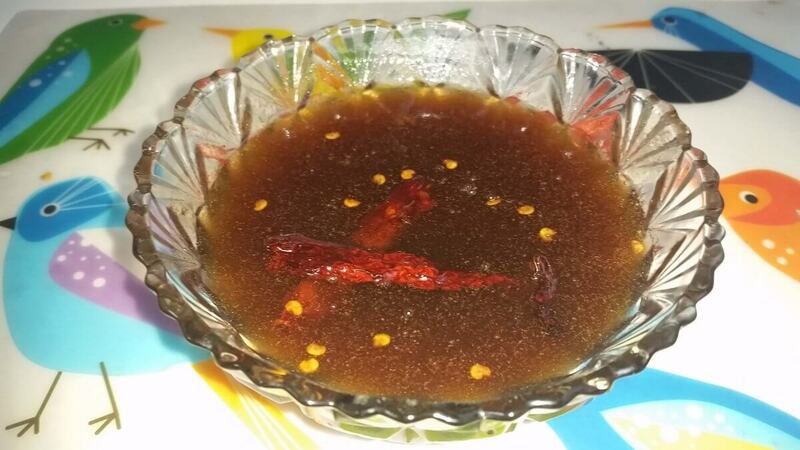 Instant and super quick recipe of Imli Chutney / Tamarind Chutney. This Imli chutney recipe is one of the most important accompaniment in most of Indian snacks. Imli chutney is often used in north indian chaat snacks like aaloo tikki chaat, dahi bhalle, papdi chaat. Imli chutney is also served with samosas, pani puri, kachoris and parathas. Imli chutney can be also stored for 10- 15 days in refrigerator. In this recipe I am using sugar for making Imli chutney/ Tamarind sauce. You can also use jaggery. Soak tamarind in water for 3-4 hours. Squeeze the pulp from the tamarind with your hand. Discard fibers and seeds. Sieve the pulp and keep aside. Heat oil in a pan / kadai. When oil is hot, add 2 dry red chilies and let them crackle. Now add the sieved pulp and cook till comes to boil. Add 1 cup sugar, 1 tsp salt and cook for 5-6 minutes. Switch off the flame and let the tamarind chutney cool. Once cooled, you can store it in refrigerator. 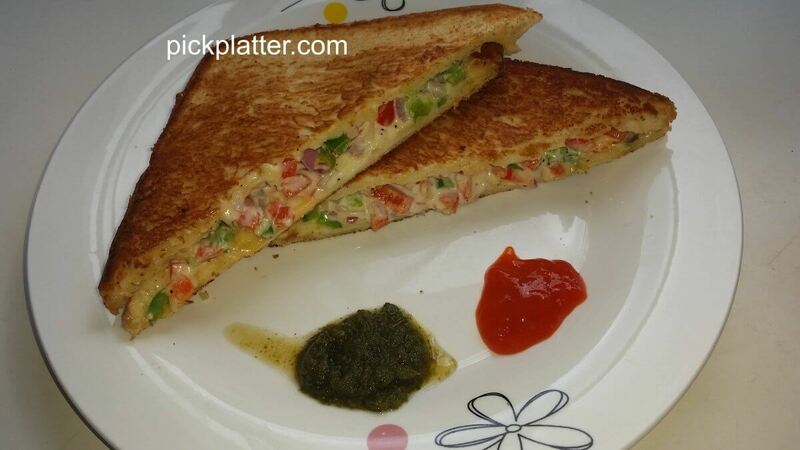 Veg Mayonnaise Sandwich – Sandwich made with lots of veggies and mayonnaise. How to make Veg Mayonnaise Sandwich on Tawa. Take chopped onion, capsicum and red bell pepper in a bowl. Add 2 tbsp mayonnaise and pepper powder. Take one slice of a bread and spread a thick layer of mayonnaise and vegetables mixture on the bread slice evenly. When tawa is medium hot add 1/2 tbsp butter on it. Now place the sandwich on tawa with spreading the butter. Toast like this for few minutes. Again toast for few minutes on low flame till the base become golden and crisp. Kathal Curry Recipe- Made with authentic Indian style. Heat 3 to 4 tbsp Oil in kadai. Add Kathal/jackfruit pieces and cook till they become tender. Once kathal pieces become tender and golden in color, switch off the flame and keep it aside. In the same kadai heat 2 to 3 tbsp oil. Add Cumin/jeera seeds and Bay leaf/Tejpatta. Let them splutter. Add 2 medium sliced Onion and cook till become golden. Meanwhile take 2 tbsp ginger garlic paste. Add 1 tbsp cumin, 1/2 tbsp chili, 1 tbsp turmeric and 1 tbsp coriander powder. Add water to make a thick paste. Keep aside. Once onion turns golden, add prepared paste. saute with continuous stirring till oil start separating from it. Once all raw aroma goes off and oil starts separating, add fried kathal/jackfruit pieces And Mix well. Cook kathal with spices for 1 to 2 minutes. Add 3 cups of water and cook on high flame. Once it comes to boil, add garam masala and set flame to low. Now cover and let simmer for 4 to 5 minutes or till kathal/jackfruit is cooked. Switch off the flame and let it set for 5-10 minutes. Heat 2tbsp oil in a kadai. Add 1/2 tsp turmeric, 1/2 tsp Chili and 1/4 tsp coriander powder. Add Matar. Saute for few seconds. Add 1/4 tsp Garam Masala powder and mix. Saute for 1 – 2 minutes. Switch off the flame and keep potato mixture aside for stuffing. Cut the top of the tomatoes and remove it. Now scoop out pulp with a spoon. Grind pulp and keep aside. We will use it while making gravy. Stuff the tomatoes with filling. Set aside. When oil is medium hot, place the tomatoes in pan and cook on low flame till tomato become little tender. It will take approx 1 minute. Don’t cook for longer as tomato will be overcooked and stuffing will come out. Once Tomato becomes tender, take it out and keep aside. Now for gravy heat 2-3 tbsp oil in the same pan. Add 1 tsp cumin seeds. Add a pinch of Asafoetida/Hing. Once Onion turns golden, Add 2 tbsp ginger garlic paste. Saute until raw smell goes off. Add 1 tsp urmeric powder, 1 tsp coriander powder, 1/2 tsp chili powder podwer and saute for few seconds. Add Peas and saute for few seconds. Saute for few seconds. Then add tomato pulp to it and again cook for few seconds. Now add 3 cups of water and let it comes to boil. Add chopped coriander leaves and let it simmer for 2-3 minutes. Now add stuffed tomato to the gravy. Cook it for another 1 minute and switch off the flame. Let it set for 5 minutes and serve hot with rice. Methi Paratha is made of whole wheat flour and fresh fenugreek / methi leaves. It’s a popular paratha recipe. Methi is very good for health. Methi paratha is easiest way to include methi in our diet.Dried Methi leaves known as Kasoori methi can be also used for making methi paratha but fresh methi leaves are always a better option. As fenugreek is rich in fibre and antioxidants, it helps in flushing out harmful toxins from the body and thus, aids digestion, deal with constipation. Methi lowers blood pressure, reduces risk of heart disease, helps you loose weight. Other than these Methi leaves are also good for hair and skin. Add chopped onion and green chillies. Saute just for few seconds (6-7 seconds). Add a pinch of turmeric powder and mix. Add salt and cook for 1 minute. Don’t cook it for longer time. Switch off the flame. Let it get cool. Now take wheat flour in a container. Add 1 tsp carrom/ajwayan seeds. Add cooked methi leaves and mix it well with flour. Now slowly add water in small incremental quantities and knead soft and smooth dough. Now divide the dough into equal sized small balls. Now flatten the ball with hand. Sprinkle flour on the rolling board and roll it into medium rounds. Now heat a tawa. Place the paratha on tawa. Once one side is cooked, flip it and let cook the another side. Now spread oil around the paratha. Flip it and spread oil this side too. Cook it by pressing edges with spatula. 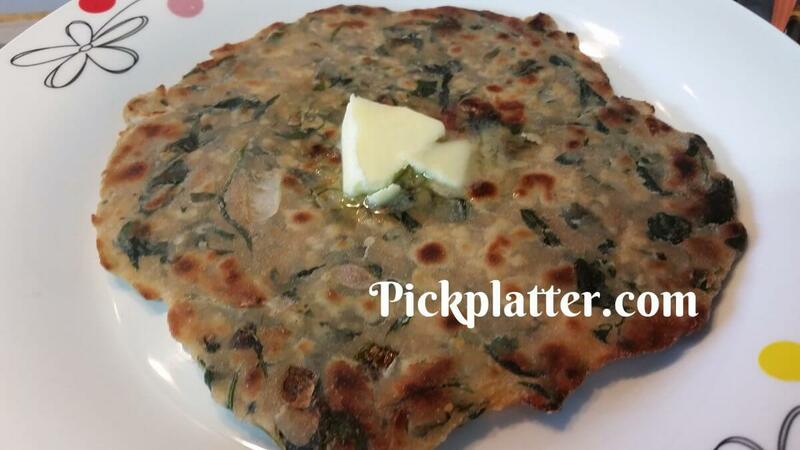 Once Methi paratha is evenly cooked and get golden spots on it, Methi Paratha is ready. Take it out from tawa. Place a cube of butter on Methi Paratha and serve hot with Pickle/curd/sauce/Tomato chutney/Any curry. Methi paratha can just be had with chai/tea. Methi Paratha is also a good tiffin box snack and stay soft if packed in aluminium foil. This blog will teach you to prepare Chicken tikka at home without using oven or microwave. This Chicken Tikka is made using fresh coriander and mint leaves. Prepare this Green/Haryali Chicken Tikka at home and enjoy. Take Mint and Coriander leaves in a grinder. Add chopped ginger, garlic, green chilies and curd. Grind without adding water to make a smooth thick paste. To marinate the chicken, add this green mixture to chicken. Add turmeric powder, coriander powder, chili powder and dry mango powder. Keep marinated chicken in refrigerator for 30 minutes. After 30 mins, take out marinated chicken from refrigerator. Now heat oil in a frying pan. when oil is medium hot, add chicken pieces one by one to the pan and cook it on low flame. Once one side of chicken is cooked, flip it to other side. Keep checking and flipping chicken pieces till they are cooked from all the sides. Once chicken is cooked from all the sides, chicken tikka is ready. Switch off flame. 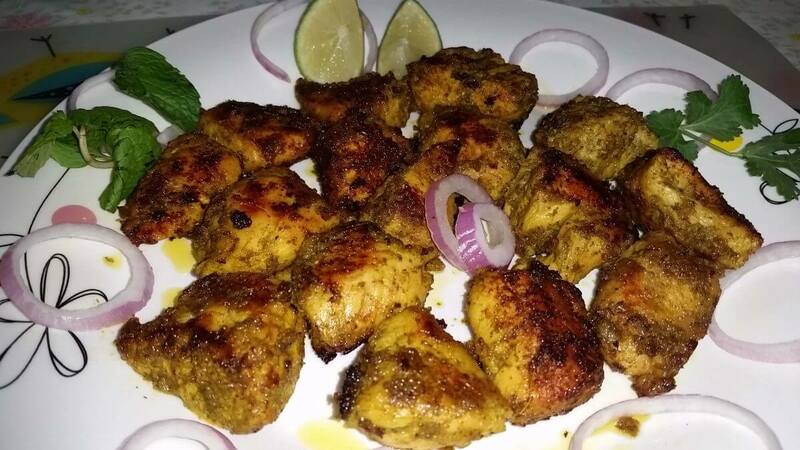 Serve chicken tikka hot with onion and lemon pieces. Tips: You can cover it while cooking to make it more soft. Heat enough amount of water in a pan with salt and few drops of oil. When water comes to boil, add noodle. Stir and let noodle cook. Once noodles are coked well, drain them from hot water and rinse the noodles in fresh tap water. Now drain noodles and keep aside. First add beans and carrot and saute on medium flame for 10 seconds. Then add broccoli and capsicum. Continue to toss and stir fry till vegetables are almost cooked. But don’t cook the vegetables till they become completely soft. Add 1/4 tsp of salt. Don’t add more as sauces already contain salt. You can check the taste after adding sauce and add more if required. Now add Soy sauce, Chili sauce and Tomato sauce one by one and mix well. Keep on tossing and stirring till the veggies are mixed well with the noodles. Switch off the flame. Check the taste and add more salt or any sauces if required. 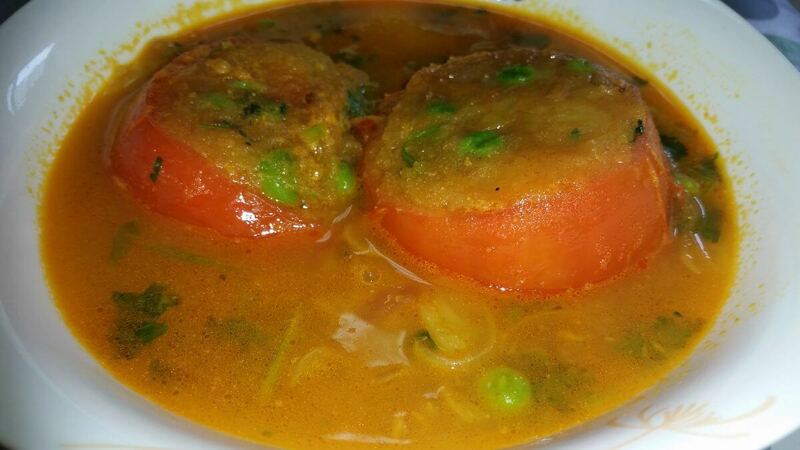 Made with Suji/ Rava/ Semolina and vegetables. Upma is Easy to prepare, Healthy and delicious breakfast/ snacks dish. Heat some oil in a kadhai. Add mustard seeds. When it starts spluttering, add Chana/gram daal and Curry leaves. Now add chopped onion and green chili. Saute till onion turns light golden. Now add sliced carrot/gajar. Saute for few secs and add capsicum. Again saute it for few secs. Meanwhile boil 2 cups of water in a pan. Now add tomato. Cook until tomato becomes tender. Once tomato becomes tender, add Salt and mix well. Now add roasted suji/rava and mix well. Saute for few seconds. Now add boiled water. Mix well and cook until it thickens completely. Keep stirring. Now turn off the flame and serve hot. Palak Paneer is a popular Indian main course dish. Palak paneer is made with paneer/cottage cheese cooked in palak/spinach gravy. Rinse the palak/spinach well in running water. Boil 4 to 5 cups of water in a pan and add 1/4 tsp salt. Now add Palak/spinach leaves in the hot water. Cover it and let cook it for 3 minutes on medium flame. When the palak leaves are blanching, take some water in a pan and add some ice cubes. After 3 minutes strain the blanched palak leaves from hot water and add them to cold water. Keep Palak stock aside to use later. After 1 minute strain it again from cold water. Now add Palak/spinach leaves a grinder jar with 1/2 inch chopped ginger, 3 to 4 cloves garlic, 2 green chilies. Make a smooth palak/spinach gravy without adding water. Keep it aside. Heat 1 tbsp oil and 2 tbsp butter in a pan or kadai. Add 1/2 tsp jeera/cumin seeds, 1 Bay leaf/tej patta and 2 red chilies. Let them splutter. Now add 1 medium chopped onion. Saute till Onion turns light golden. Add 4 to 5 finely chopped garlic. Saute until raw aroma of garlic goes away. Now add 1/4 tsp haldi/turmeric powder and 1/2 tsp chili powder. Saute for 10 to 20 seconds. Add 1 medium chopped tomato. Stir and saute till tomatoes soften. Once the tomatoes are softened, add salt. Then add 1 tsp Kasoori Methi and mix well. Add 1/2 cup of palak/spinach stock or water or as required. Add Garam Masala powder and stir very well. Simmer for 4 to 5 minutes till palak or spinach is cooked. Now add Paneer cubes(250 gms) and stir well. Now cover and simmer for another 2 to 3 minutes. Now add 2 tbsp cream. This is optional. I have not added. Now stir and switch off the flame. Serve Palak Paneer hot with roti, naan or rice.